Most of us probably got our Internet connection somewhere 10 years back. 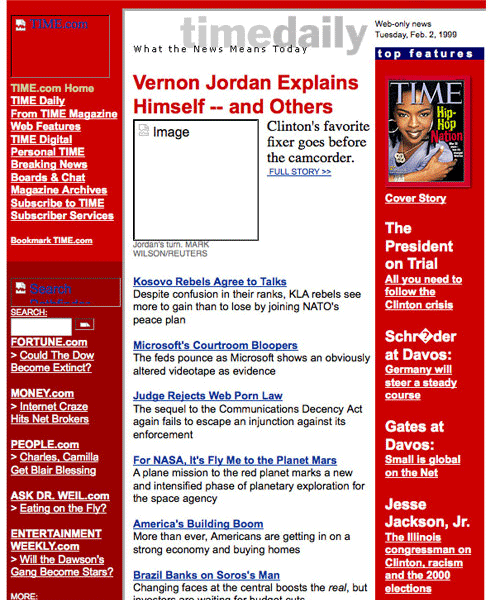 It was also around that time we seen the sudden boom on Internet, thanks to Marc Andreessen and Netscape Communicator. Now that we are almost at the end of 2008, we thought it’s pretty interesting to look back at how some of the trend setters and the most trafficked websites were like 10 years back. Here are some of the top-tier brands of the tech industries and their websites have stayed on the Internet for more than a decade. 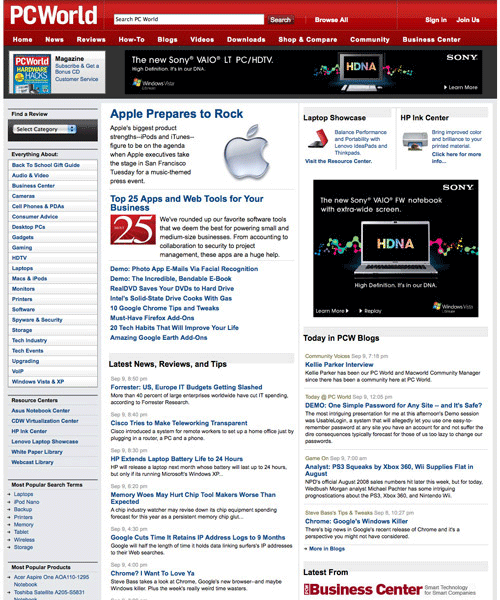 Let’s take a look at how these websites look like 10 years ago, comparing with that it is now. Full list after jump. 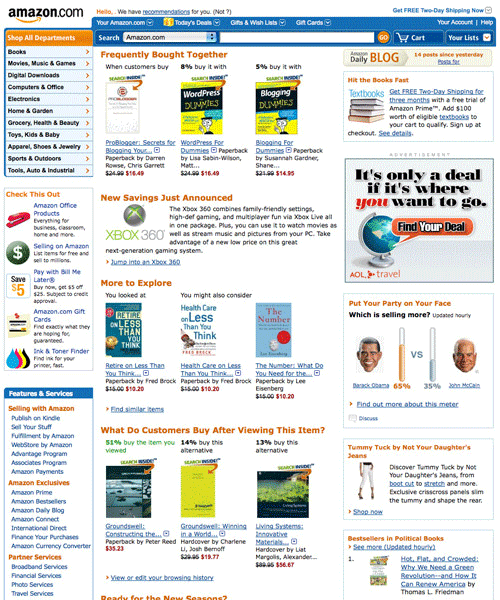 Clear-cut navigation is very important for any e-commerce site and we believe Amazon handles this pretty well. 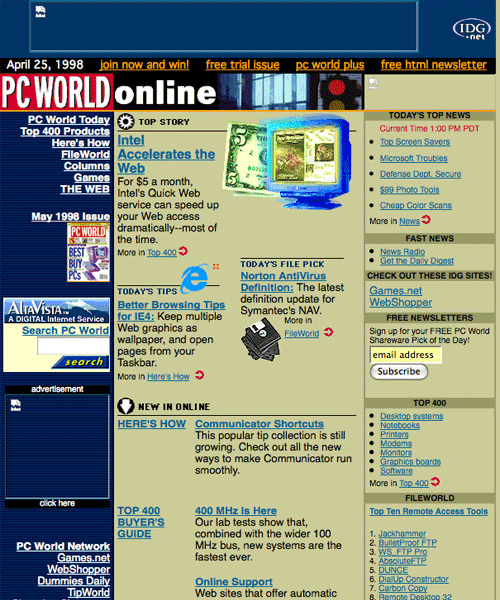 The site has not been changing over the pass decade in terms of the amount of content they put forward on the first page. 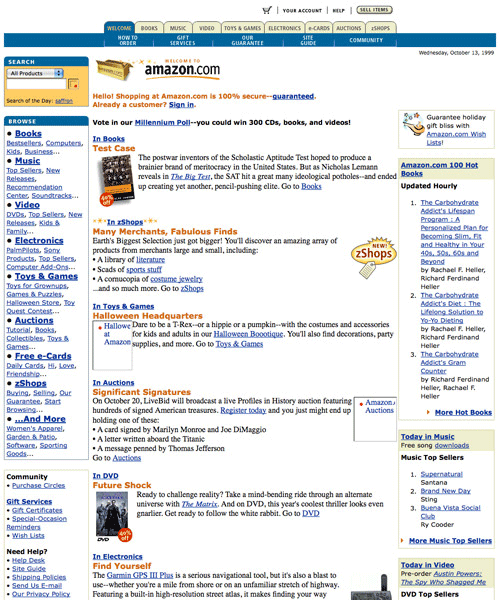 The most obvious change over the pass ten years in Amazon is perhaps swapping the horizontal tab navigation to a left sidebar drop down and bringing their search box to the top. 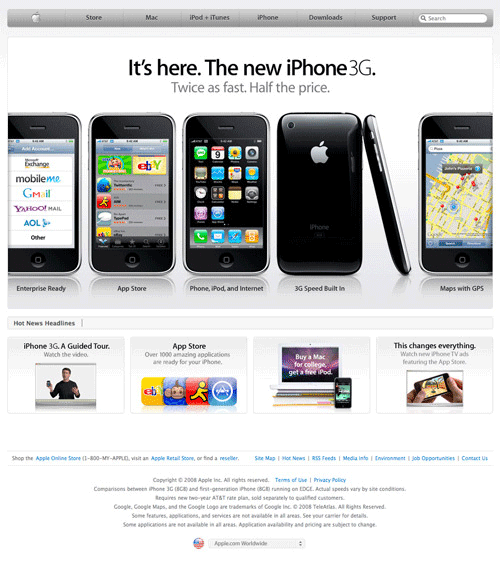 We always like how folks at Apple design their website. 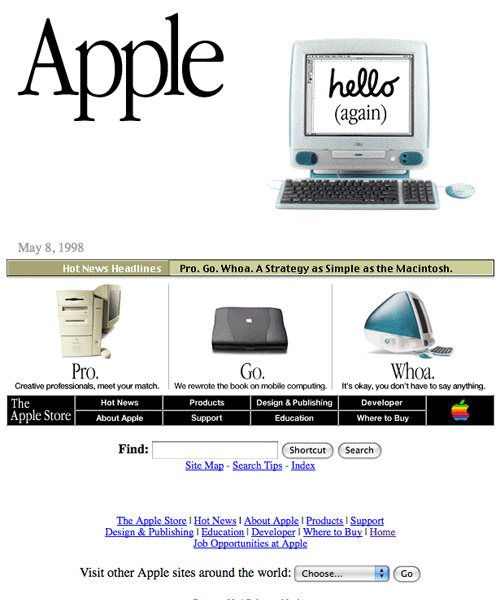 They’ve always been the trend setter and their designed inspired a lot of the Web 2.0 design out there. 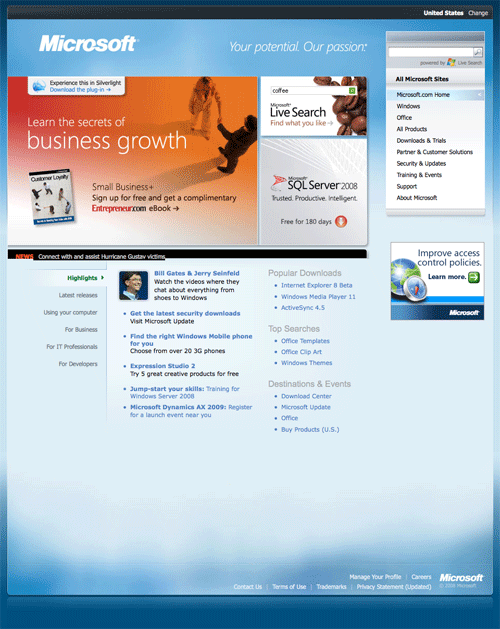 That said, have you seen how their website looks like 10 years ago? Google was still in beta ten years ago. These guys believed in simplicity and there’s no exception whether it’s 1998 or 2008. Most of us start playing with e-mailing on a free account when we were introduced to the Internet, and when it comes to free email Hotmail is amongst the hottest. 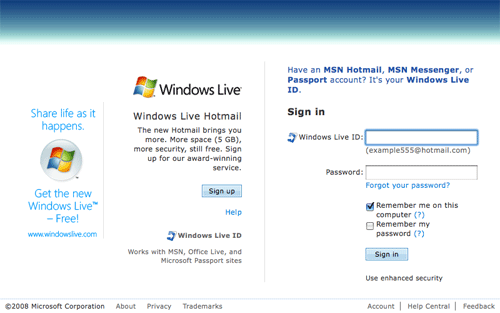 Here’s how the web interface looks like before Microsoft decided to turn call it the Windows Live Hotmail. 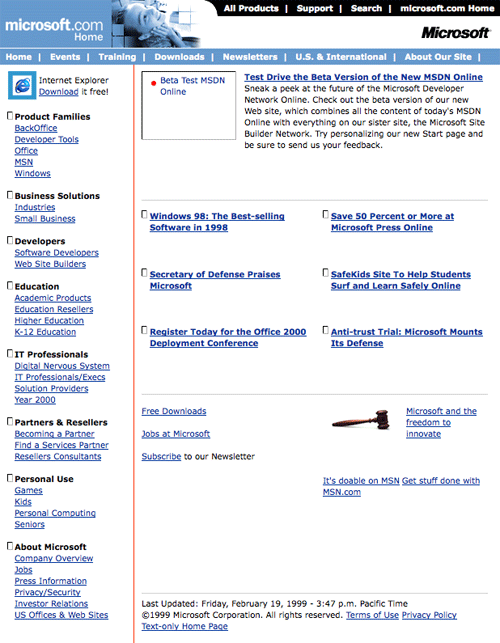 Microsoft had done tremendous changes to their web frontend over the pass ten years. The old one lacks of graphics and the current definetely has a very strong corporate look. 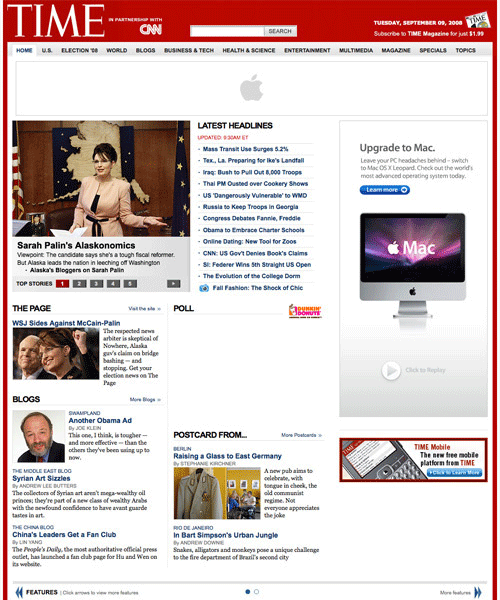 Ten years ago, PCWorld was using a 3-column display. You can imagine the site to be really congested, considering the fact that most of us (if you already started surfing) were still on monitor resolution 800×600 and below. But over the pass decade, the site has been much more better. Content arrangement is neat, well-organized and the red header with white background definetely make the entire display looks clean. 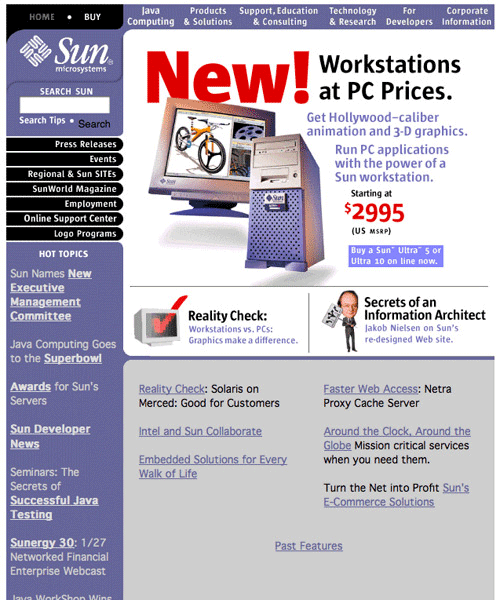 Sun Microsystems in 1998 totally recalled us how a typical Geocities and Tripod free template were like. Time maintained their 3-column display over the pass ten years. Only difference is, they’ve managed to make it way cleaner and neater, even though contents on the website is like 5x more. 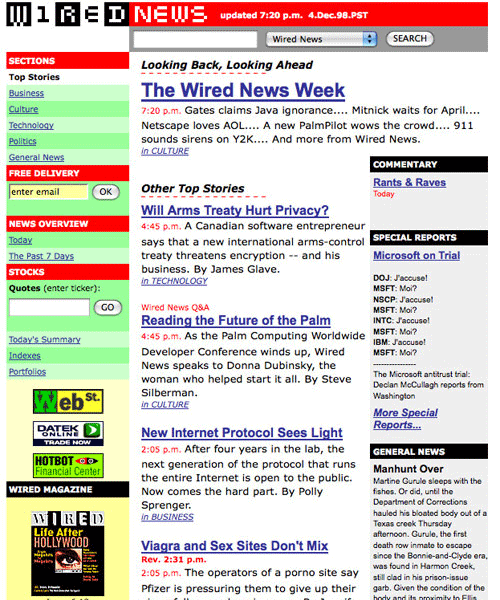 Wired ten years ago was too text-based and we think the left navigation looks odd with titles in red background and listings in light green. 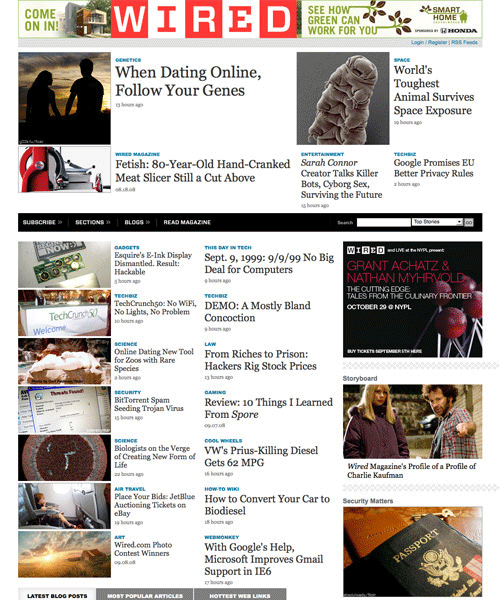 It’s hard to imagine the website to be what they are now, because it totally rocks. 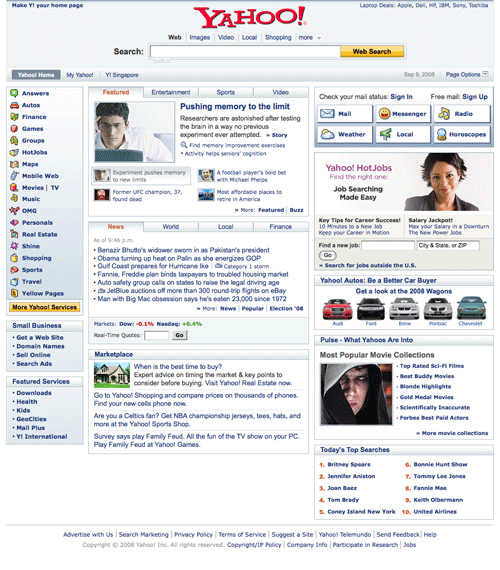 Comparing to what we’ve seen ten years ago and now, Yahoo had undergone quite a significant change in terms of their business model and that totally reflects their web front end. 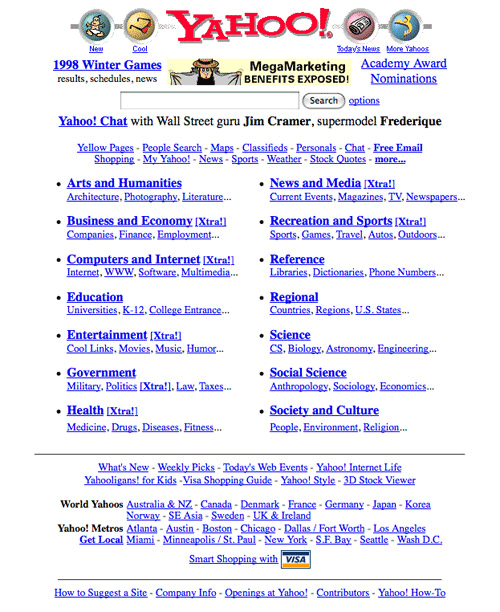 The search-engine based company used to be very ‘search engine focused’ but it’s looks more like a information portal now.